Il successo di QRP International è dovuto in gran parte all’impegno, alla passione e alla competenza del suo staff. In un settore in cui le persone fanno la differenza, QRP ha la fortuna di avere un team di persone energiche e sempre attente alle esigenze dei clienti. Jacobus was born in the Netherlands in 1969. 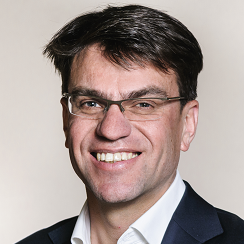 He studied Tourism in Breda and International Management at the University of Maastricht. After his graduation he started a career in Project Management in various telecommunications companies. Being passionate about international management he worked in Austria, Switzerland, Sweden, Germany , Cyprus, Qatar and Saudi Arabia. Through his various experiences he wanted to improve project management, facilitating change. 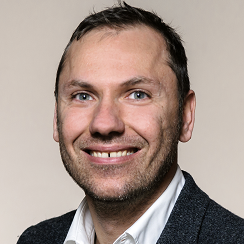 In 2003 he started his long time dream to have his own company and founded QRP International which quickly grew to a Pan – European leader in Project Management training and consultancy. Jacobus loves travelling, speaks Dutch, English ,German, Italian and some French. Wine and good food are his passion which he enjoys in his home town Como in Italy. In his free time he bikes around lake Como and plays Football. Jacobus is married and has 3 children. Freshly graduated into business administration at European School of Economics in Bari, Michelangelo joined QRP in July 2004 as an intern in charge of doing market research for the Italian market, the company was then made of 2 persons: Jacobus and He. QRP activities increased quickly at an international level and he soon became in charge of finance and operation, ensuring that business operations are efficient and effective, planning, scheduling and controlling all QRP services provided worldwide. As QRP’s senior team members, Michelangelo is a reference and a guide for the whole team, always ready to answer to our (numerous!) questions, with patience and great understanding. Michelangelo is also an expert problem solver. We haven’t met a problem he can’t untangle. A man of few words, when he does speak up, we all listen. But don’t let him fool you. Just under the surface, Michelangelo harbors a wicked sense of humor. Outside the office, as a father of two sons, Michelangelo keeps pretty busy with his family life and his passion for reading. 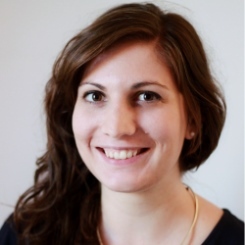 A graduate from the University School of Management (IAE) of Lille in Business & Managerial Economics, Mathilde joined our team in February 2007 as Country manager for France, where she spent nearly seven years learning the ropes of the training and project management industry. During this period she took care of the French clients, managed the French website, email communications, and online advertising. She found the data-driven work appealed to her analytical side and since 2014, those versatile skills set has served Mathilde well in her role as Global Sales and Marketing Manager. In addition to serving as sales representative to our international clients, she heads up our team of marketing experts, providing guidance on marketing and editorial plan, as well as creative development for the team. 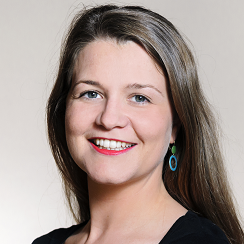 When not sharing her marketing know-how and sales inputs, Mathilde likes to host friends, eat out, go hike, watch documentary, and spend time with her family spread all over Europe. Alessandra graduated from Sapienza University of Rome with a Master’s degree in Business Economics and gets a job fresh out of school as an intern in Etnocom, an advertising agency specialised in ethnic strategies. After the internship, she found an opportunity for an European Voluntary Service in Croatia where she was in charge of promoting projects and visibility of the organization through social networks, writing articles for the blog and facilitating events. If you combined those skills with her willingness, curiosity, creativity and positive attitude, Alessandra was for sure the best candidate for the role of Marketing Executive for the QRP Italian market. She joined us in April 2016 and is managing since then all the marketing activities, she is a master in blogging and writing articles about IT and PPM method in order to help clients in their career and professional life. Alessandra is also a passionate about literature, writing and international economy. After graduating from the Thames Valley University in London with a Bachelor of Marketing, Donatello went to work for an italian sports wear company. Donatello officially joined the QRP team in March 2006, as Sales and marketing assistant, where he carved out a niche with his passion for SEO, paid search and data-driven marketing. 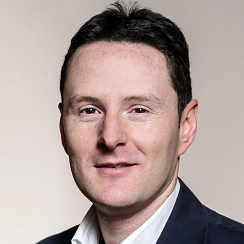 In his current role as Business Development Manager for Italy, Donatello gets the most enjoyment from cultivating long-term relationships with QRP Italian clients; he acts more as a consultant than sales man, supporting clients and partners in achieving their goals and solving their problems. His contribution to the company is mainly reflected to his ability to get results and to get things done. When not taking care of customers, Donatello finds pleasure in doing sport, reading and traveling.